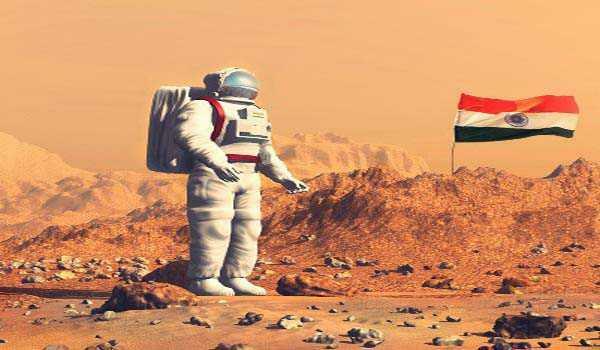 Prime Minister Narendra Modi on Wednesday said India will send a manned mission to space by 2022. "This will be achieved by 75th Independence Day in 2022. India is proud of our scientists who are excelling in their research and are at the forefront of innovation," Prime Minister said in his Independence Day speech from the ramparts of Red Fort. "In the year 2022 or if possible even before that India will unfurl the Tricolour in space,” said Mr Modi. India will become the fourth nation in the world now to send man to space, Prime Minister said. Mr Modi said there is an atmosphere of positivity and constructive feeling in the country. "India has registered its name as the sixth largest economy in the world. It has created a positivity and constructive atmosphere. We are celebrating the festival of freedom in such a positive atmosphere " Prime Minister said. "There was a time when India was among the fragile five.....Today, they only say India is a destination of multi billion dollar investment. The same people who criticised India today they say the sleeping elephant is awake and is on the move," Mr Modi said. He said the country has leaped forward from a stage when it was known for 'policy paralysis'.